After installing the plugin you will have a new cluster configuration section at “System -> Configurations” in your Graylog Web Interface. Make sure to complete the configuration before using any of the modules this plugin provides. You’ll see a lot of warnings in your graylog-server log file if you fail to do so. The configuration of this plugin has a parameter that controls if AWS entity translations are supposed to be attempted or not. This basically means that the plugin will try to find certain fields like a source IP address and enrich the log message with more information about the AWS entity (like a EC2 box, an ELB instance, a RDS database, …) automatically. The Flow Logs integration and analysis examples are described in this graylog.org blog post. Now let’s go on and instruct AWS to write the FlowLogs to a Kinesis stream. aws kinesis describe-stream --stream-name "flowlogs"
Copy the StreamARN from the output. We'll need it later. Make sure to change the Service from eu-west-1 to the Region you are running in. Copy the ARN of the role you just created. You'll need it in the next step. "Resource": "[YOUR KINESIS STREAM ARN HERE]"
"Resource": "[YOUR IAM ARN HERE]"
--role-arn "[YOUR IAM ARN HERE]"
You should now see FlowLogs being written into your Kinesis stream. 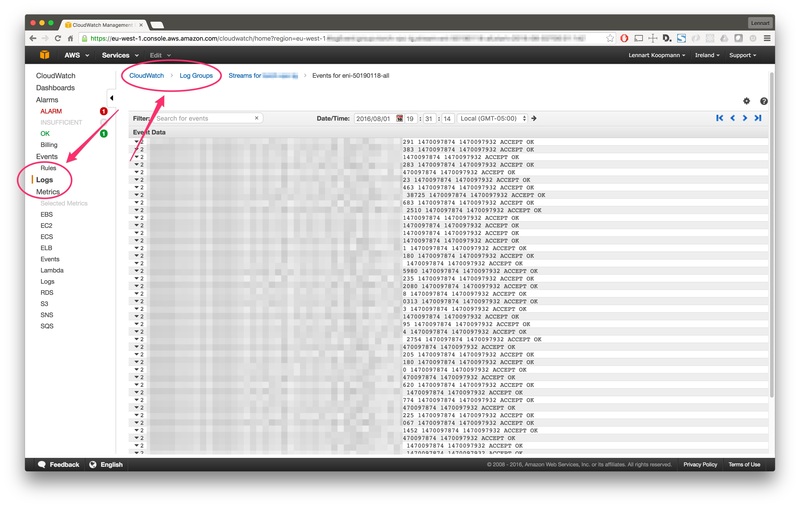 Now go into the Graylog Web Interface and start a new AWS FlowLogs input. It will ask you for some simple parameters like the Kinesis Stream name you are writing your FlowLogs to. 2017-06-03T15:22:43.404Z INFO  [FlowLogReader] Starting AWS FlowLog reader. 2017-06-03T15:22:43.404Z INFO  [FlowLogTransport] Starting FlowLogs Kinesis reader thread. 2017-06-03T15:22:43.509Z INFO  [LeaseCoordinator] With failover time 10000 ms and epsilon 25 ms, LeaseCoordinator will renew leases every 3308 ms, takeleases every 20050 ms, process maximum of 2147483647 leases and steal 1 lease(s) at a time. 2017-06-03T15:22:44.060Z INFO  [KinesisClientLibLeaseCoordinator] Created new lease table for coordinator with initial read capacity of 10 and write capacity of 10. 2017-06-03T15:23:05.178Z INFO  [Worker] Initialization complete. Starting worker loop. 2017-06-03T15:23:06.719Z INFO  [FlowLogReader] Initializing Kinesis worker. It will take a few minutes until the first logs are coming in. Important: AWS delivers the FlowLogs with a few minutes delay and not always in an ordered fashion. Keep this in mind when searching over messages in a recent time frame. SNS topic: Choose something like cloudtrail-log-write here. Remember the name. Navigate to the AWS SQS service (in the same region as the just enabled CloudTrail) and hit Create New Queue. You can leave all settings on their default values for now but write down the Queue Name because you will need it for the Graylog configuration later. Our recommended default value is cloudtrail-notifications. Right click on the new queue you just created and select Subscribe Queue to SNS Topic. Select the SNS topic that you configured in the first step when setting up CloudTrail. Hit subscribe and you are all done with the AWS configuration. 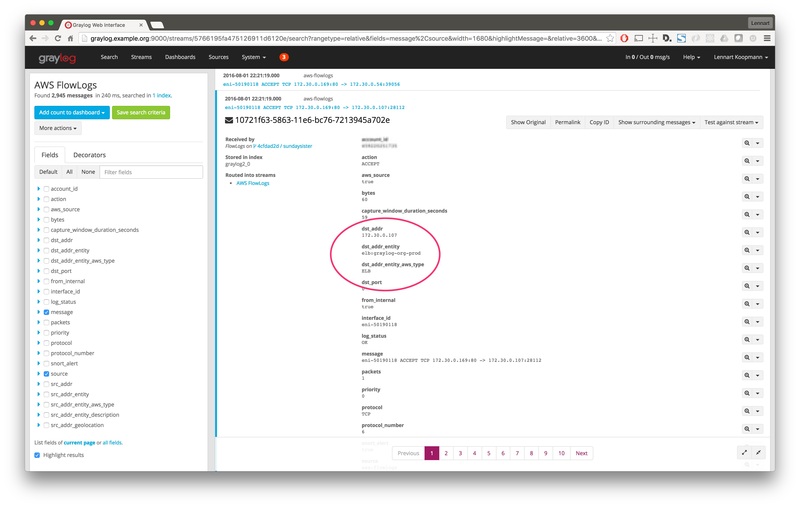 Copy the .jar file that you received to your Graylog plugin directory which is configured in your graylog.conf configuration file using the plugin_dir variable. 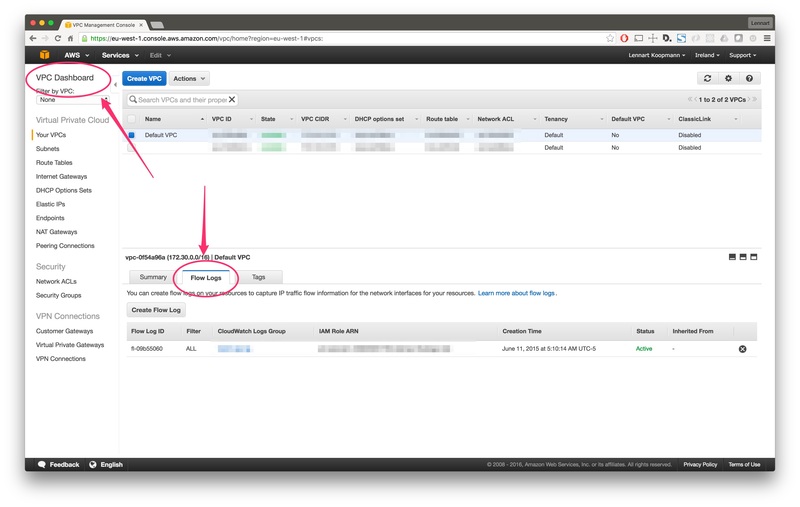 Restart graylog-server and you should see the new input type AWS CloudTrail Input at System -> Inputs -> Launch new input. The required input configuration should be self-explanatory. Note that these are very open standard permissions. We recommend to use them for a test setup but further boil them down to only allow access (read+write) to the DynamoDB table we automatically created (you'll see it in the list of tables) and also to only call cloudwatch:PutMetricData. How to get the ARNs and how to create custom policies would be out of scope for this guide. You should see CloudTrail messages coming in after launching the input. 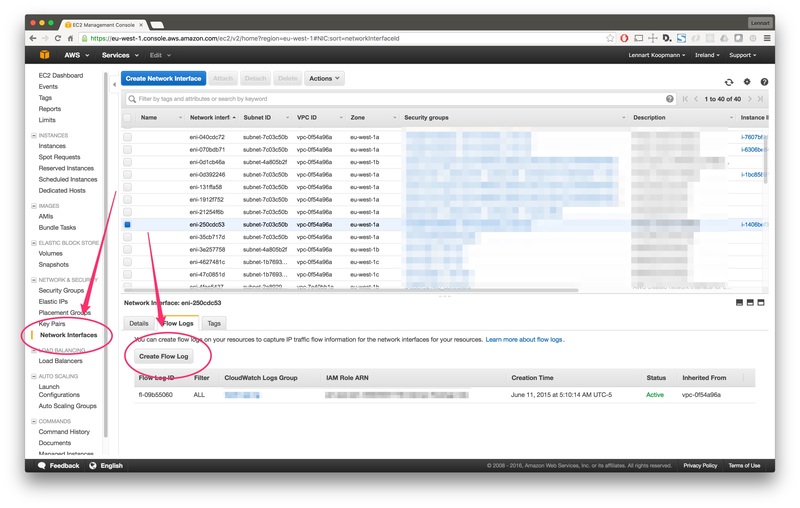 (Note that it can take a few minutes based on how frequent systems are accessing your AWS resource) You can even stop Graylog and it will catch up with all CloudTrail messages that were written since it was stopped when it is started a!gain. Now do a search in Graylog. Select “Search in all messages” and search for: source:"aws-cloudtrail"